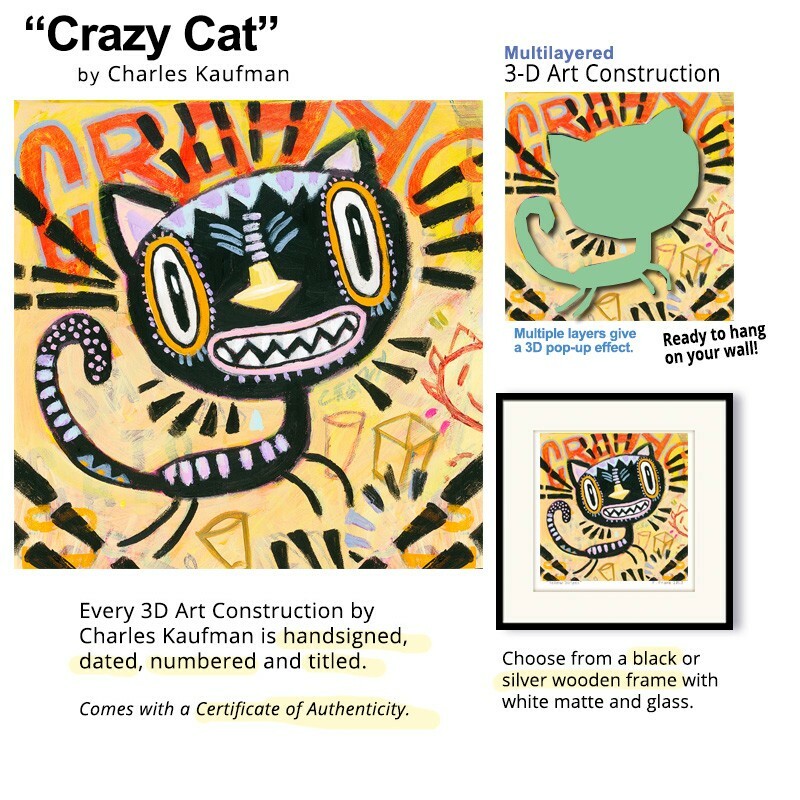 > 3D Graphic: "Crazy Cat"
Multilayered, pop-up 3D Art Graphic by Charles Kaufman. Frame size: 9 x 9 inches/ 23 x 23 cm. 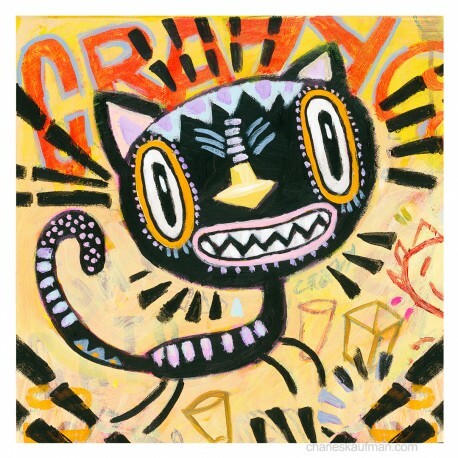 Hand signed, dated, numbered, titled. Comes with a Certificate of Authenticity. 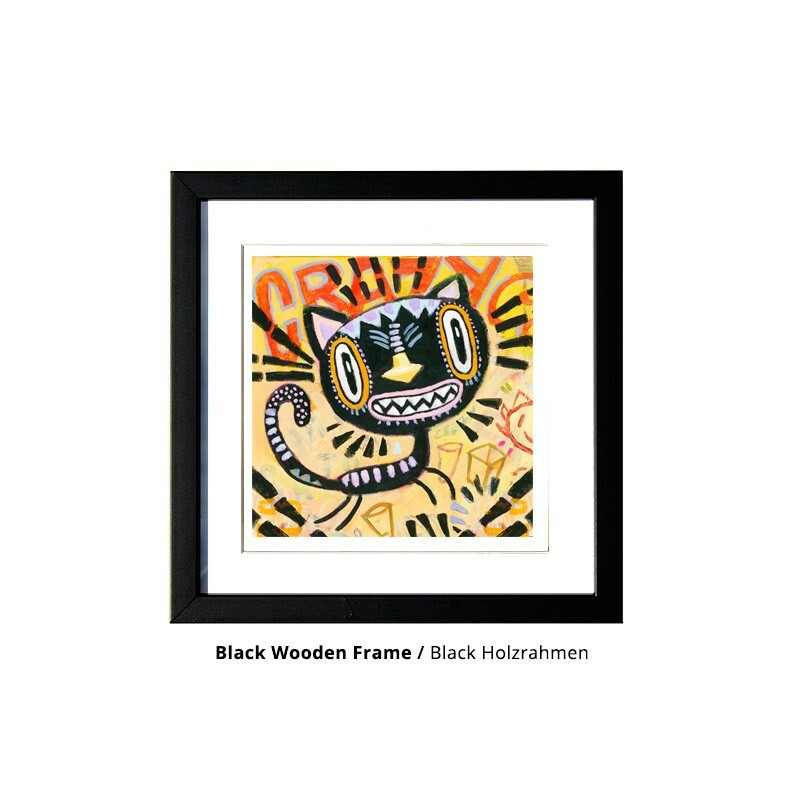 Choose from a black or silver wooden frame. Hand signed, dated, numbered, titled with a Certificate of Authorization. Comes ready to hang on your wall.